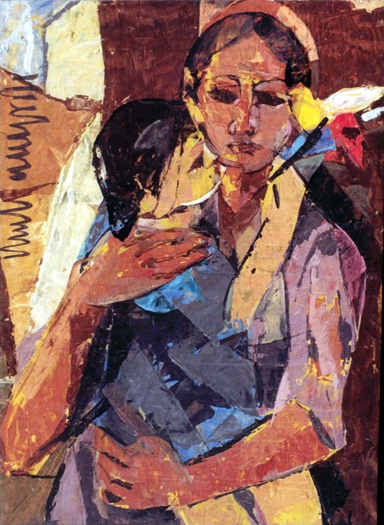 A retrospective that featured over four hundred works by one of Pakistan’s modern masters, spanned four and a half decades of his artistic career. It illuminated the artist’s favourite themes: pigeons, woman and pigeon, woman and horse, mother and child, ode to love and his innovative renditions of the maghribi style of Arabic calligraphy. The collection was a fitting tribute to Naqsh’s creative genius in a remarkable variety of media, pencil, ink, ball-point pen, water colours, acrylics and oils.